The 21st annual Michelob Dayton Reggae Festival, the last of three summer outdoor festivals in the City of Dayton’s Downtown Summer Music Series, will bring sounds and rhythms of the Caribbean to Dayton on Sunday, August 31, from 1:00 to 8:00 p.m. The festival is free and open to the public, and will take place at Dave Hall Plaza, on East Fourth Street between Main and Jefferson Streets. 5:00 p.m. The Pocket Washington, D.C. This new location opened in early August, is located at 1227 Wilmington Ave. in Dayton Ohio. They are calling this one Elsa’s on the boarder. This is open in the old Parnell’s location. This is Elsa’s first new location since 1996. So if you’re looking for a great margarita or Bad Wan then head to Elsa’s on the border. I have been to 3 Dayton ale fest events and each year they get better and better. Each year they add more brewers from all over the country. This year they are going to have over Over 250 Craft Beers from more than 100 world class breweries. If you go to Tanks before the event they will have a shuttle to the ale fest which is a nice way to get to the event. 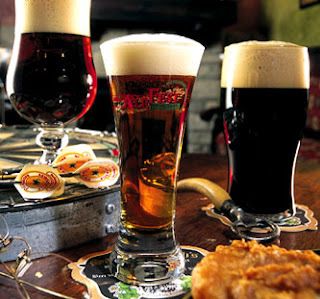 tasting glass and guide, live entertainment, & Chappys free appetizer coupon. water and an AleFest sampling glass as you exit. you can get pre tickets at these locations.